HostPresto! > Help > Hosting > MySQL Databases > What Are My Database Credentials? Your database credentials will comprise of a hostname, your database name and your database user, which is prefixed with your account name. In this article, we'll provide an example what a database config should include and where you can get this information from. If you know that you have a database on your account but you are unsure what the database name is or what database user has access, you can review this via the control panel. Scroll down to the 'Databases' section and choose 'MySQL Databases'. At the top under the 'Current Databases', you should find your database listed. Note that this includes the database name under the 'Database' heading and the database user under the 'Privileged Users' heading. 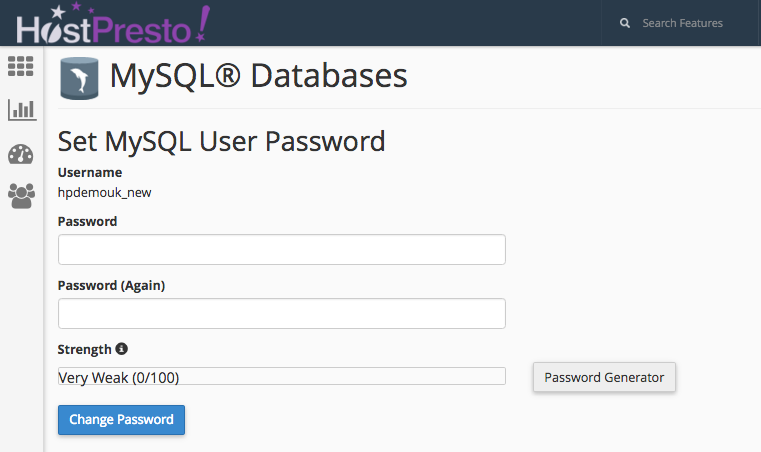 A database does not have a password, only the database user that has access does. If you know your password, add the following line to your database config replacing the password example with your actual password. If you are not sure what this password is, you can change the database user password. Still in 'MySQL Databases', scroll further down to the 'Current Users' section. 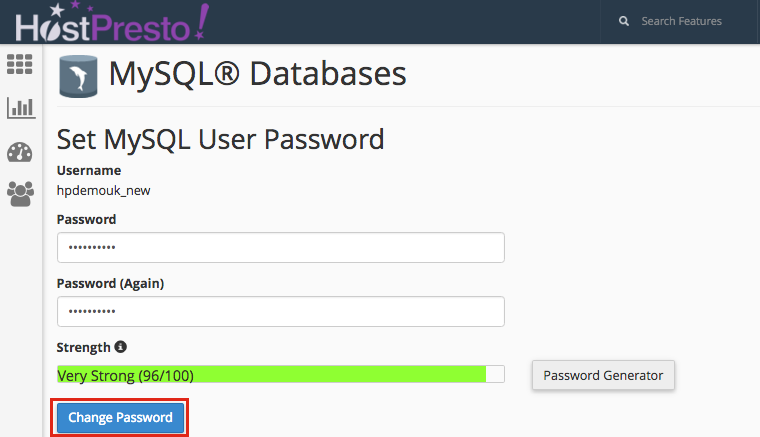 Select the 'Change Password' option on the database user as noted from earlier.